When Greg Deierlein looks at San Francisco’s skyline, he wonders: Will the city be ready if a major earthquake shakes those skyscrapers? It’s not primarily a question of whether all the towers will remain standing, though there are some concerns about the ones built more than 30 years ago. The more complicated question is this, says Deierlein, the John A. Blume Professor in the School of Engineering: If one or more high-rises suffers serious damage, how badly could that disrupt the rest of the city? The city of San Francisco wants to know, too. In recent years city officials have been developing a sweeping new strategy on earthquake preparedness for skyscrapers, the first such effort by a city in the United States, and Deierlein and his team have been providing city leaders with hard data and new modeling tools to better estimate the costs associated with disruption and downtime. As a start, he and his colleagues, including Stanford PhD candidates Anne Hulsey and Wen-Yi Yen, inventoried 156 San Francisco buildings that rise 240 feet or more, noting their age, design and potential weaknesses. Their survey reveals that many high-rises built before 1990 were constructed with a type of steel frame that developed dangerous cracks in the welds during the 1994 Northridge earthquake in Los Angeles. Research by Hulsey and Yen aims to assess the risks posed to these pre-Northridge buildings and the surrounding neighborhoods. Retrofitting these older buildings would be enormously expensive, Deierlein says. Complicated, too. At the moment, owners are not required to complete new earthquake assessments, much less retrofits, unless they’re renovating at least two-thirds of a building. Most building owners carefully avoid hitting that trigger. Partly as a result of the building inventory, city officials have recommended changing the triggers that require property owners to reassess their seismic risks and requiring that future reassessments factor in building recovery time as well as safety. San Francisco officials are also considering a number of recommendations for new buildings aimed at reducing downtime. These may include imposing tighter “drift limits” on the how much a building is permitted to sway in an earthquake, thereby reducing building damage and downtime. Another idea is to demand greater robustness in the building’s mechanical systems, from elevators and electrical systems to plumbing, which could reduce the time that all or part of a building is effectively unusable. They also propose requiring tall building owners to have a recovery plan that could include making advanced arrangements with engineers and contractors to repair damage after a quake. One major obstacle is the status of the city’s current high-rise housing stock. San Francisco’s official goal is to make sure that 95% of the city’s high-rise housing can be restored to habitability within a few weeks after an earthquake. But studies by the Stanford team indicate that a damaged high-rise condominium could be uninhabitable for two to six months. Although the repairs themselves might indeed take only a few weeks, it could take several additional months to make a full damage assessment, get the proper permits and enlist the engineers and contractors. The Stanford researchers also highlighted the possibility that a badly damaged skyscraper might force a city to cordon off all the streets and buildings in its shadow. In Christchurch, New Zealand, the central business district was shut down for more than two years after a 2011 earthquake. 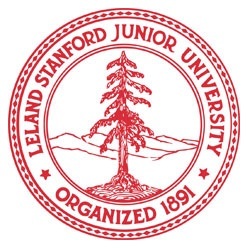 The San Francisco strategy calls for new protocols on setting up cordons, which are likely to be based in part on a model the Stanford team has developed to predict the risks.